Usalama Technology Limited is a consumer-oriented technology firm that aims to offer practical solutions to everyday business needs. We pride ourselves in the highest quality products, which meet the most modern market standards. Our products have been implemented in diverse environments and are highly recommended. 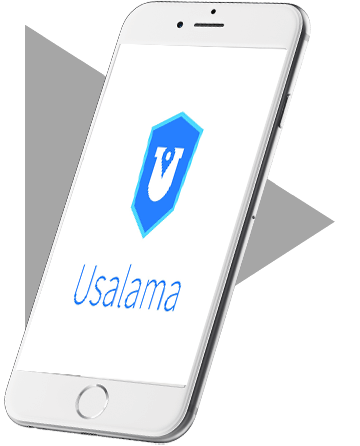 Our flagship product is the Usalama Application. The Usalama app is a platform that connects users and emergency service providers (ambulance, security, police, road-side assistance) in a quick and efficient manner, utilizing real-time user data, and an integrated web-based back-end portal. Our customers are our top priority and as such we provide reliable solutions coupled by a high level of support in case of any emerging issues. Our systems aim to achieve 0% latency. We have an expansive team of qualified developers who work around the clock to understand the diverse needs of the customer and bring solutions to reality. They technology revolutionized our service delivery. Super hands on throughout the entire process, they never once made us feel like we were competing for their attention. Yep, they're the best!